WPEngine is one of the best hosting choices for any serious webmaster using WordPress as their content management system. WP Engine is specifically designed for WordPress websites taking into account the subtle nuances that make it in some cases a little resource heavy compared with traditional websites. Some theme frameworks can work to reduce this as can plugins and caching solutions but ultimately the best fix is to run on the right server technology to benefit from improved speeds. If you are looking for fast hosting for WordPress then this is definitely one of the best options at a very low price. Speed is, of course, a very important factor these days in search engine optimization and in most cases upgrading your hosting to a more professional solution is the cheapest way to improve SEO and conversion rates since a faster loading website = more conversions. Check out WordPress hosting by WP Engine. Why is WPEngine So good? There are many reasons why WPEngine is the best WordPress hosting solution and the service we recommend to all of our customers, whether they are in the USA, UK or anywhere else. You see hosting services have to be very flexible so they can support a multitude of different webware, languages and more and as a result, the majority out there don't perform particularly well with WordPress. This isn't 100% the hosts fault, WordPress is a technical and intensive piece of software which uses a lot of resources particularly if the site is bulky and features lots of plugins. WordPress managed hosting allows for the server architecture and hardware to be configured with WordPress in mind and as a result allows your website to perform far faster than it would on a typical host. 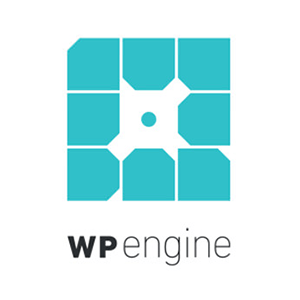 WPEngine is a hosting solution built for speed and performance but that isn't the end of it. WPEngine also offers a lot of comfort to webmasters with the automated daily backups where it stores up to the last 60 days so you can always go back and restore if you have a major problem. One problem for WordPress designers, developers and website owners is redesigning and developing a website that is complex without losing anything. WPEngine provides a staging server that you can push your live website to with a single button. Once you are ready to put the new changes live you can use a one button solution again that also allows you to select specific database tables you want to push to avoid overwriting anything that has changed on the live site during development. Even for the most seasoned WordPress professional having 247 live chat support is critical in ensuring things work properly all of the time and when they don't you have a team of highly trained professionals working around the clock to help you solve your problem. The staff supporting you are also all trained WordPress experts, meaning they can answer and do a lot more than your typical budget hosting support assistant. Speed / Fast Loading Times - Put simply the best feature of moving to WPEngine is the fantastic site speed and loading times. SEO Impact - While indirect and covered above, having a faster loading website makes a drastic difference to your search engine optimization and ability to rank well on Google. Reliability / Stability - The uptime on WPEngine is also very good and offers a lot of reliability and peace of mind. WordPress Security - WPEngine is more secure than most hosting solutions as they enforce rules to ensure certain plugins that are unsafe are banned and removed, they also auto update WordPress and other items if necessary. WPEngine also ensures their advanced security features work to ensure your site remains secure by performing daily malware scans and setting up a firewall. They also promise if you get hacked or a virus is found on their watch that they will repair any damage for free. Professional 247 Support - The support is fantastic, while they used to only offer support Monday through Friday they now offer 247 live chat support (YES! even at the weekends) because let's face it, running a website isn't a 5 day a week job! Highly Rated - All you have to do is look at a list of customer reviews and you will see how satisfied WPEngine customers are. If you have a site that is gaining popularity and generating money then it is a no-brainer to move away from slow, poor quality shared hosting solutions like those available from GoDaddy, BlueHost & HostGator. These options are for hobbyist websites, new websites and the occasional experiment while your new venture gains legs NOT for a serious business that is expecting results! Email - No email facility is provided at WPEngine however that is understandable if they are specialising in WordPress website hosting. Domain Registrations - You must also purchase your domain elsewhere such as GoDaddy and then point it over to your WPEngine account. This is not that unusual for a hosting company. Plugin Limitations - Some plugins are not allowed on the WPEngine servers, either because they overlap with built in features such as caching or because they are unsafe or reduce performance considerably. This is a good and a bad point, it protects you and improves speed but there may be one or two plugins you have to say goodbye to, however it is unlikely unless you have caching plugins. ???? - I really can't find any other cons to using WPEngine. Sure it is a little more expensive than your typical shared hosting but in terms of value, it is more than worth the additional cost. I have read a few negative reviews of WPEngine on Google when researching what others thought but found that pretty much all of these reviews were written by people without a real grasp of the subtle nuances of WordPress and the ways WPE have solved a lot of the annoyances and potential pitfalls. To get 20% off your first payment and 2 additional months for free (available on annual plans) sign up by clicking the button below and use code wpe20off. Still not convinced? Money Back Gurantee Do it? If all of the above wasn't enough WPEngine also offer a great testing period with up to 60 days money back guarantee which is considerably longer than most services. For example Pressable, another WordPress hosting solution only offers 15 days trail period. Need Help with WPEngine Migration? If WPEngine's automatic migration process doesn't work because either your current server is too slow, your website is too large and bulky or the site is too complex then you may have to follow the manual migration process. Fortunately, their guide is very good at helping you through this process but if you do decide you want professional assistance with migrating your WordPress website to WPEngine from any host at all then get in touch via the button below. We have handled manual and automated migrations from many other server companies including but not limited to GoDaddy, Bluehost, HostGator, Site5, 1&1.